In 2016, Google came under the spotlight for its omission (possibly by accident but we doubt it) in listing Palestine as a state with clear borders in its Google Maps tool. While Google has a record of finding itself in hot water over name-changing or omission in the past, this error brings into further focus a situation that much of the world is trying very hard to ignore: the illegal colonisation of Palestinian lands by the Zionist state of Israel. The omission by Google, whether deliberate or an inexcusable error in the 21st century, takes this modern organisation down a dangerous and age-old path of wiping away certain parts of history. Such behaviour, where practised by different religious organisations or ideological groups over the centuries (Romans, Christians, Muslims, Nazis and Daesh to name a small but not insignificant few) has been judged as immoral and destructive. 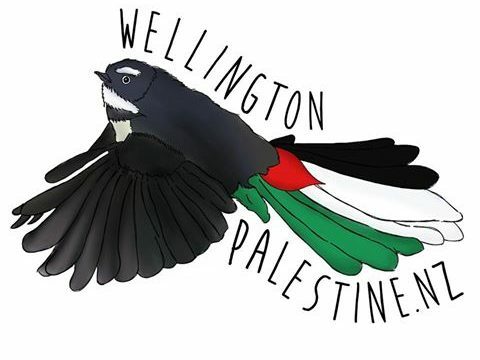 A question to ask however is, what does this mean for Aotearoa New Zealand and its long historical connections with Palestine? One hundred and thirty six countries recognise Palestine as an independent state. Even although Aotearoa New Zealand (along with the US and some other Western countries) does not recognise the state of Palestine, its name is enshrined on numerous war memorials across the country (a point we will return to below). Imagine the question teachers will get when students who are searching Google Maps to locate Palestine can’t find it. What happens when, seeing Palestine listed on the walls of the Auckland museum, a student goes to find where during World War One soldiers of Aotearoa New Zealand served, only to come up with a blank? To be honest, how much do Kiwis think about the role of soldiers from Aotearoa New Zealand played in the fighting that occurred in Sinai and Palestine? Why are these places memorialised on the walls of the Auckland museum or the Bridge of Remembrance in Christchurch for example? Google maps have decided to omit Palestine from its mapping tool. Such behaviour clearly shows an ignorance of, and divergence from, a long history of a people and country. Part of this history is recorded on numerous war memorials across Aotearoa New Zealand and, no doubt, in other countries where British Imperial and other colonial troops fought to defeat the Ottoman Empire in Palestine. An ironic twist to these campaigns during World War One was that British Imperial troops and their allies were fighting alongside Palestinian Arabs who shared British goals of defeating the Ottoman Empire’s control of the region, including Palestine. The issue of troops from Aotearoa New Zealand serving in Palestine, as listed in the battle honours on numerous war memorials, places successive Governments and their policies towards Palestine at odds with history. This continued denial of the existence of the country of Palestine has no real logic from a historical viewpoint. Perhaps a failure to recognise Palestine also means that the Government does not need to seriously consider the behaviour of its troops, under British command, in the Surafend massacre that occurred in December 1918 after the war. Perhaps the example set by governments such as ours and questionable actions by Google expose a deeply disturbing move to alter the historical record. An even greater crime is to deny the Palestinian people, rich in history and culture, the basic right to live free from oppression and violence. If you feel strongly about the omission of Palestine on Google Maps and wish to support the move to get Google to accurately list Palestine on its tool, please sign this petition.